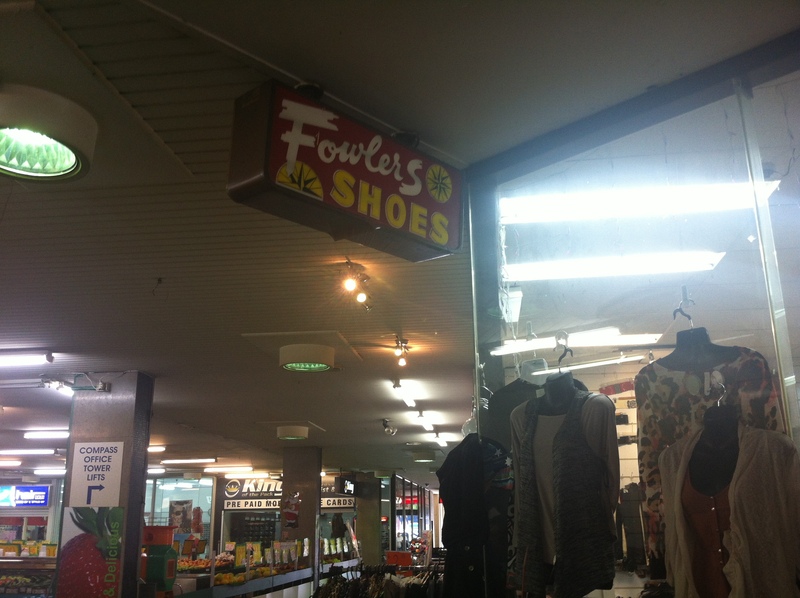 In Bankstown’s dank and decrepit Compass Centre Arcade, Fowlers Shoes once provided footwear to the populace. The sign sports the original compass logo of the centre, which appears to have never once been refurbished throughout its long and pointless existence. Fowlers dates back to the 1950s, which was a time before the Compass Centre, so obviously they knew how to sell shoes. 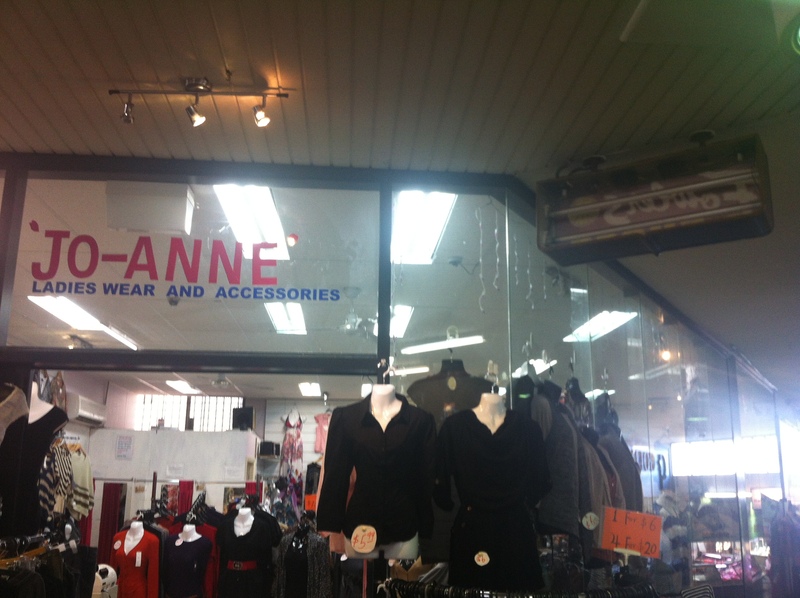 These days, as the arcade rots around her, ‘Jo-Anne’ has taken it upon herself to clothe Bankstown, one lady at a time. Not sure when the Compass Centre opened, but it would have been the late ’50s or early ’60s. Originally it would have been an amazing new shopping development for Bankstown, drawing shoppers away from the traditional strips of shops along South Terrace. But the opening of Waltons across the road a few years after, and then the giant Bankstown Square in 1966, was the beginning of the end. I remember the Compass Centre having lots of interesting shops in the ’70s, including an army disposal, a toy shop, newsagent, book shop and a cool little record shop. It has seen much decay in recent years, with many closed and boarded-up shops now. The peeling rubber flooring has recently been upgraded to stone tiling, and sadly that Fowlers’ Shoes sign is now gone. The Compass Centre was sold for $45 million in 2015 to Chinese developers Ganghui Developments, who plan on bulldozing the old Centre (and most of the entire block, including the former library) and building a 450-unit apartment complex and new shopping arcade. Their plans are before council and no decision as yet.